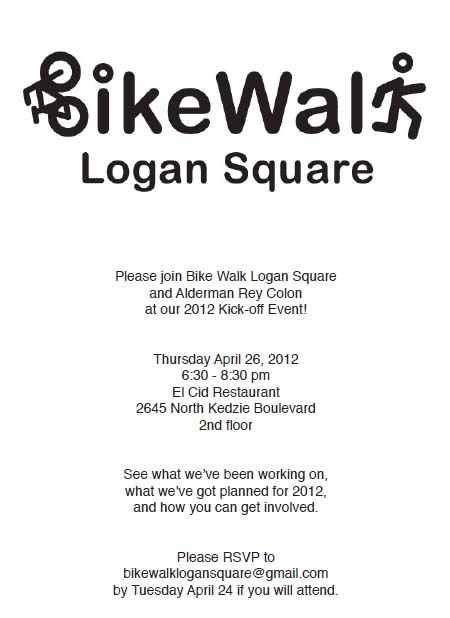 BikeWalk Logan Square invites you to kick off the 2012 season Thursday, April 26. Join us. McDonald’s revealed its plans for the 2707 N. Milwaukee Avenue property at last month’s community meeting. The alderman began the meeting touting the changes as supporting the corporate McDonald’s concept of hip and its desire to appeal to a new breed of customer, one who lingers in the restaurant and enjoys the Wi-Fi access. I think these are customers who would embrace a pedestrian orientation and would gladly do without the drive-through. The drive-through plans and flaunting of the “pedestrian street” designation (see Save Milwaukee Avenue’s pedestrian orientation) appear to conflict with the new McDonald’s concept. The plan shows that the west/Milwaukee Avenue side of the building will stay where it is now, several feet from the property line. (Unfortunately, McDonald’s Corporation’s representative has not returned repeated calls requesting a rendering of the plans to share here.) The north and south sides of the building will also stay, while the east side will accommodate the expanded building, moving several feet to the east. At the time of the community meeting, what should be the front face of the building with its bright yellow awning was oriented toward the drive-through rather than toward pedestrians on the street. Instead, the Milwaukee Avenue face would be the typical side façade of McDonald’s redesign. There will be a community meeting regarding the proposed expanded drive-through for the McDonald’s property at 2707 N. Milwaukee Avenue. The meeting will be held Thursday, February 2, 6:30 p.m. at 2706 N. Sawyer Avenue. On December 13, 2011, the Chicago Committee on Zoning conducted a public hearing regarding removing the “pedestrian street” designation for the portion of Milwaukee Avenue between Kedzie and Sawyer Avenues. 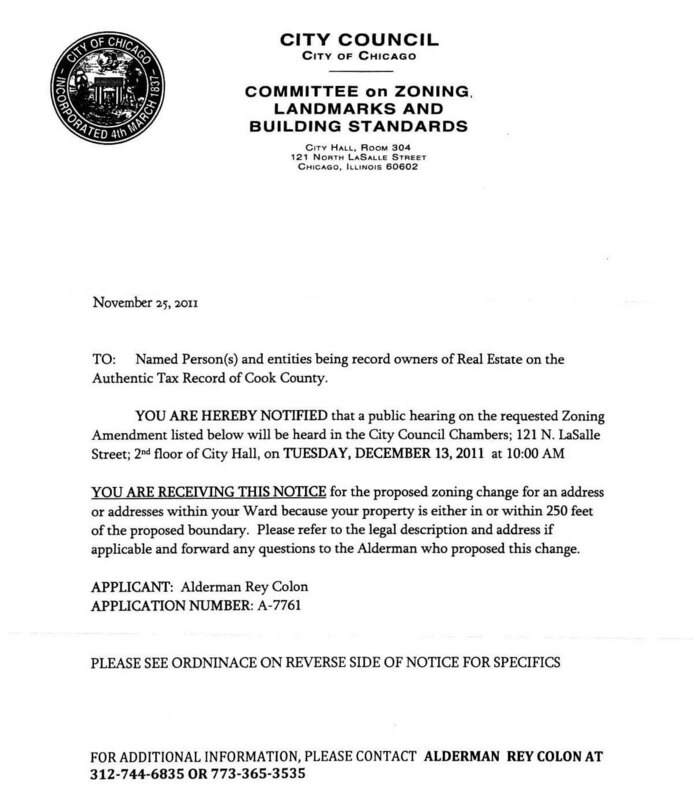 This despite the fact that the applicant (in this case the alderman/the city) did not meet (as acknowledged by the acting city Zoning Administrator) the notice requirements necessary for the hearing to take place. No hearing will be scheduled or conducted until the applicant complies with all applicable notice requirements. Five residents (myself, Steven Vance, Christy Prahl, Mike Jaskula, and Nicole Semple) testified in opposition to the proposed lifting of the “pedestrian street” designation for a variety of reasons. The McDonald’s franchise owner and her attorney were the only people to speak in favor of the proposal. Contrary to the alderman’s statement, they (and the acting city Zoning Administrator as well) revealed that they planned to increase the drive-through capacity at this site. 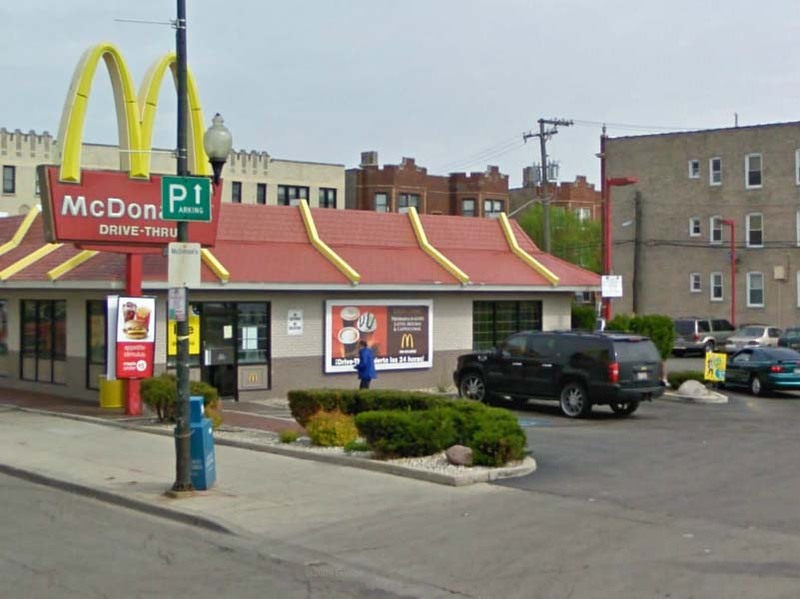 Oddly, the owner touted another McDonald’s franchise she owns on four-lane North Avenue at the busy, car-centric intersection of Grand and Kostner Avenues as an example of how nice it will be for Milwaukee Avenue. She really wasn’t grasping the concept of a pedestrian oriented street. December 13, 2011 at 10:00 a.m. at City Hall in order to preserve the “pedestrian street” designation of Milwaukee Avenue between Kedzie and Sawyer Avenues. 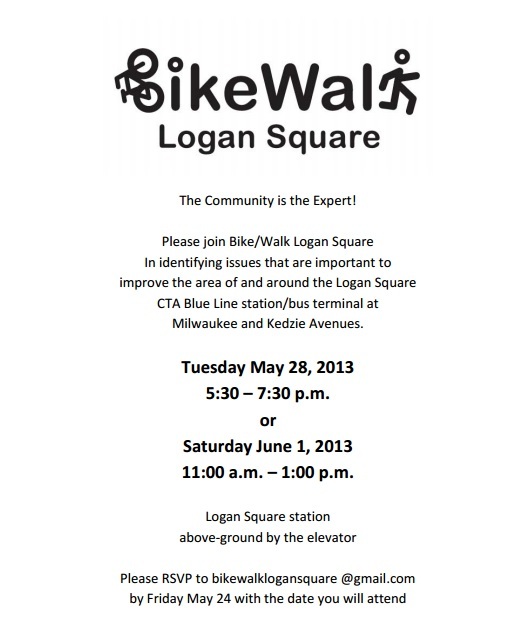 If you use the Logan Square el station or bus depot at Milwaukee and Kedzie Avenues, BikeWalk Logan Square would like your input to help guide the direction of future improvements to the station and its surroundings. Please take a minute of your time to respond to the brief survey by [Update: extended] December 10 December 13, 2011. You are currently browsing the archives for the Logan Square category.